Given the significance of Yamuna as ‘jeevan’ and ‘mokshdayani’ (giver of life and liberation), and as one of the ‘Ashtabharyas’ of Shri Krishna (as Kalindi), Yamuna Chhath is one of the most important festivals in Braj. 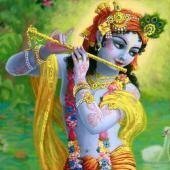 The divinity of Yamuna is well established in Puranic and Bhakti Literature, the latter belonging to the middle ages. She is at the center of worship in the Pushti Marga Sampradya. Besides, her role as enabler to the flourishing of life and civilization has been well-acknowledged in Braj for centuries now. According to Laxmi Narayan Tiwari, founder-secretary of Braj Culture Research Institute, there is evidence of the tradition of Yamuna worship as far back as the first century BC, around which time Mathura was ruled by the Mitravanshi Kings. Gomitra was an early King of the Mitravanshi dynasty. Several coins and other artefacts belonging to his period have been found during excavations in Mathura and nearby areas (particularly the Sonkh Tila and Gosana village hill area). Based on the inscriptions from coinage and a broken slab excavated in Vrindavan few years back, it is speculated that Gomitra was a follower of Bhagavat Dharma. One such coin, which is conserved along with other artefacts and written records from this period at the Braj Culture Research Institute in Goda Vihar, Vrindavan, is shown in the adjoining picture. The institute has also published information on this subject under the title “Braj ke Abhilekh –Bhaag 1”. While numismatists say that the female figure seen on the coin is Goddess Lakshmi, Tiwari believes that she is Yamuna for two reasons – the Lotus flower in one hand, and wave-like parallel lines below her feet which suggest she is a river goddess. Aquatic life forms (fish and turtles) are carved out between these two lines, further hinting at her being Yamuna as the river is particularly associated with Turtles. 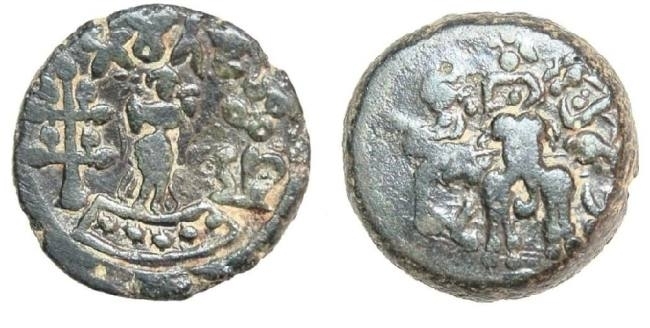 According to Tiwari, the Gomitra coin is the most ancient depiction of Yamuna in human form, which also establishes the antiquity of her worship in Braj.